For awhile now, all of us in the blogging world knew that Wes of Area 40/Jaybarkerfan's Junk blog was retiring from blogging and collecting. He made that official on his blog this week. With Wes always sending lots of us bloggers and even other friends his generosity and big time goodbye packages, I was thinking all week of a way to send him out on top with more than a simple goodbye. So bloggers and even Twitter followers who have had past experiences with Wes, let's do a Blog/Tweet Bat Around and each send out a personal thank you and good luck to Wes as he rides off of the blogging/collecting sunset. Let's also do this by showing off our favorite cards that Wes has sent us/you over the years. Let's get Wes-talgic. 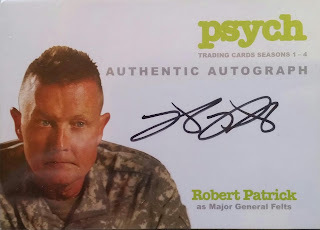 Over they years this great guy has sent out many trade packages, surprises and contest mail days and I was on the fortunate end of a few of those. And when this guy sends out a package, he sends out a package. So much so it was really hard to show off all of my favorite cards from him in this post so I just had to recap a few so I wouldn't take up two blog screens for this post. 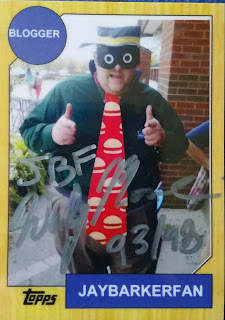 It all does kick off with this official Jaybarkerfan autograph rookie card above. I am still unsure of how he located my final piece for my Psych set, but he did and I am very thankful. 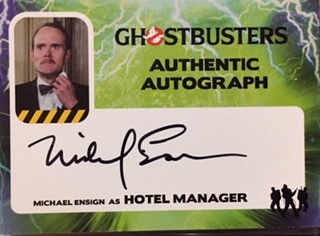 Same can be said for the final piece of my Ghostbusters autograph set. 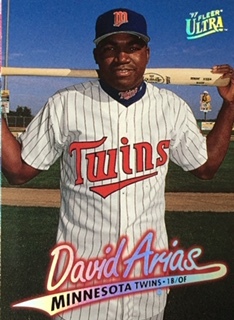 This card was the biggest surprise in surprise history. 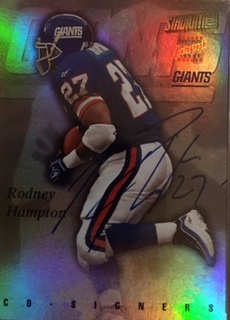 My long time Rodney Hampton white whale that he somehow located and sent it to me without me knowing. He promised all along that before he completely stepped away he would find it and did. He also sent me my first ever NFL shield. A Umeyiora printing plate was apart of his tradeathon. 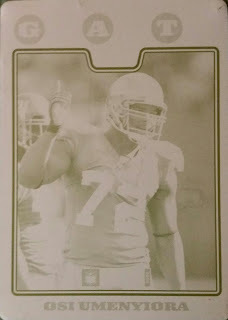 One of the very few NY Giants printing plate cards I own. 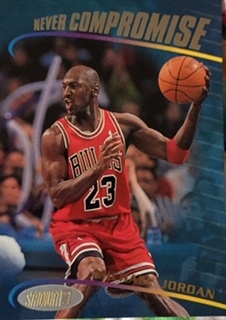 My now best MJ card was included in one of his basketball cubes. 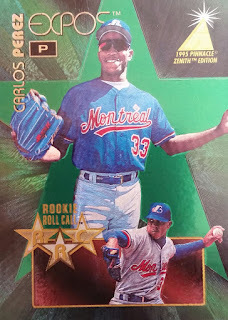 I dig 90's inserts so, so much. Just like how this Ortiz rookie was located in a baseball cube. Classic picture and design. 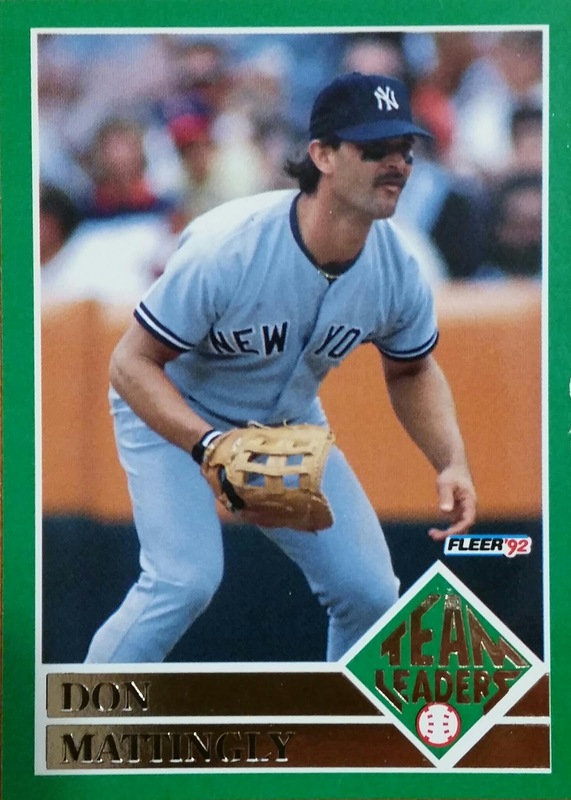 I probably even had this card at one point but ditched some binders to my father when I moved out of my parents house for him to keep. Long since have been sold off but now I at least have this one back in hand again. Just keep in mind again, these cards I showcased today is just a slight sliver, actually a cookie crumb, of what he sent me. Very minuscule. Like I said there was no way I could re-capture them all again. 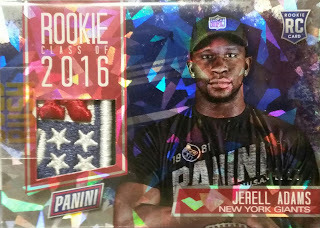 But, you can find them all by searching Wes or Jaybarkerfan on my blog and I honestly think I may have even missed posting a few NY Giants cards that never got uploaded but still will be posted on here at some point. When it comes to generosity, our blogosphere is truly amazing. Wes was a huge part of that. His philosophy of paying it forward is the thing I admired the most about him. He once sent me a care package and told me he didn't want anything in return for it. He said, "pay it forward". Now that's the epitome of "selflessness". I'll definitely participate in this Blog Bat Around. I'm thinking It'll be published on Monday. Very kind my brother. Thank you! Looking forward to seeing all the tribute posts!